I was asked to make a piece for the 2018 Furniture Society conference on the theme of integrating CNC technology and traditional fabrication methods. I had been focusing much of my woodworking practice on wood turning and specifically segmented turning. 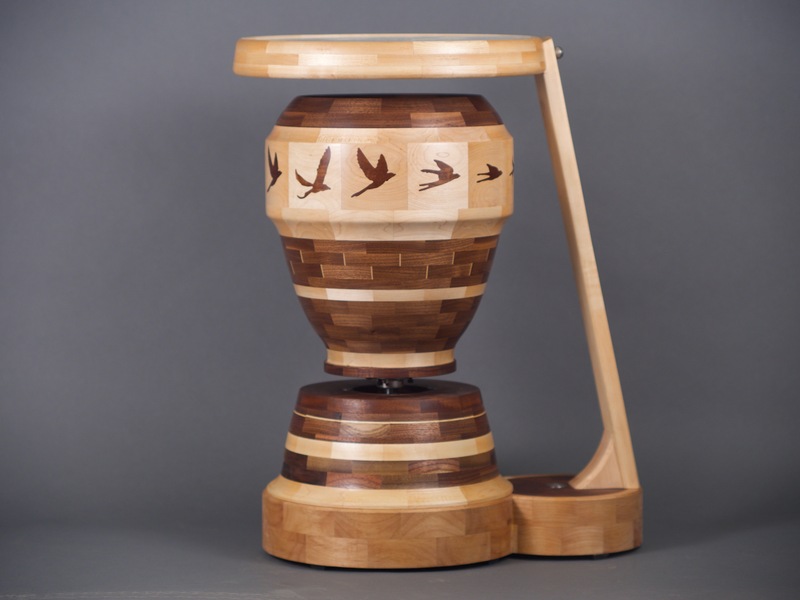 The idea to a zoetrope came from the desire to add CNC inlays to the segments of a turned vessel. In the winter months my grandfather spends his afternoons making birdhouses for swallows which he hangs come springtime. 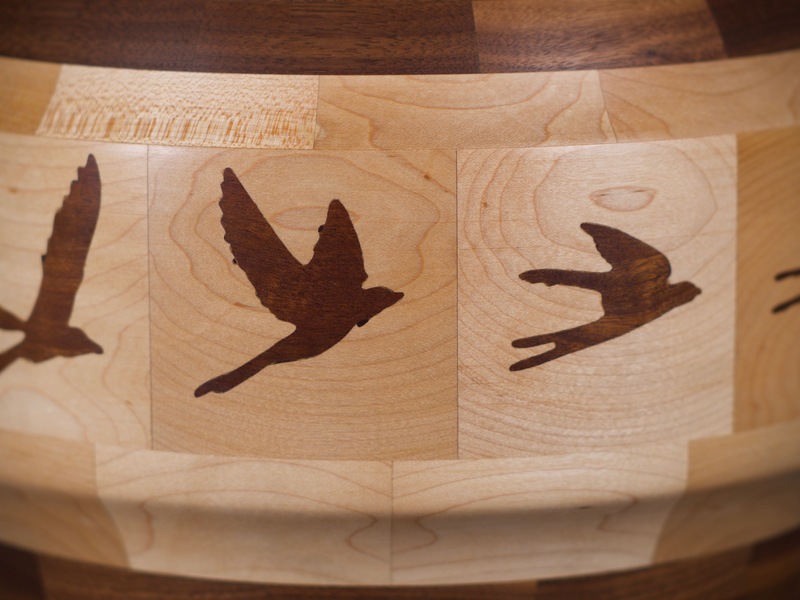 This inspired me to focus on swallows as the subject for the zoetrope animation.